Learning Networks : What is it about ? 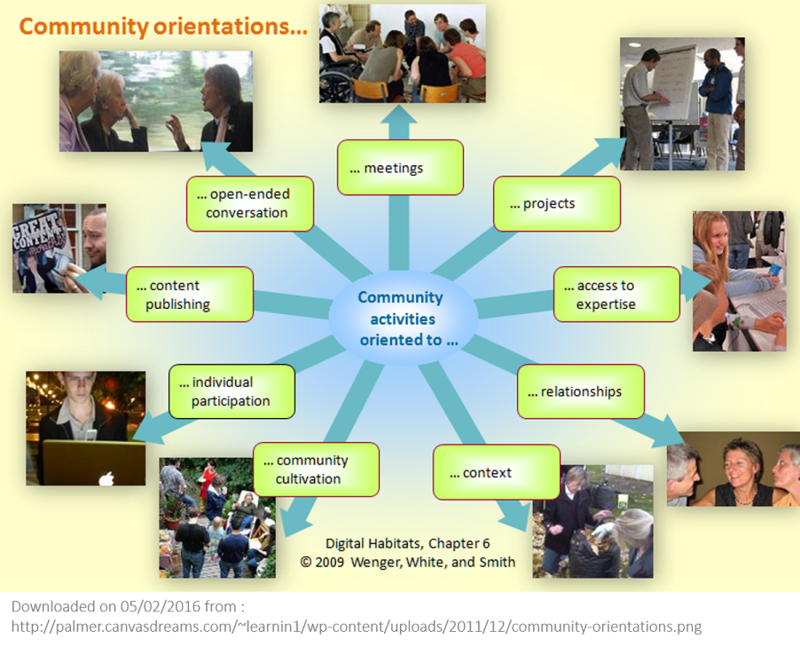 A Community of Practice (sometimes called Learning Communities or Learning Networks) is : “a group of people who share a concern or a passion for something they do, and learn how to do it better as they interact regularly. As they spend time together, they typically share information, insight, and advice. They solve problems. They help each other. They discuss their situation, their aspirations, their needs. They think about common issues. They explore ideas and act as sounding boards to each other. 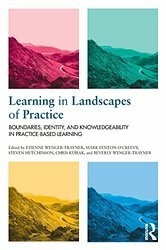 They may create tools, standards, generic designs, manuals, and other documents... Over time, they develop a unique perspective on their topic as well as a body of common knowledge, practices, and approaches.” (E. Wenger). Taking (and getting) the liberty to question and challenge the ongoing practices in the organization and taking the initiative to improve or further develop these practices, in the light of sustainable development of the organization. 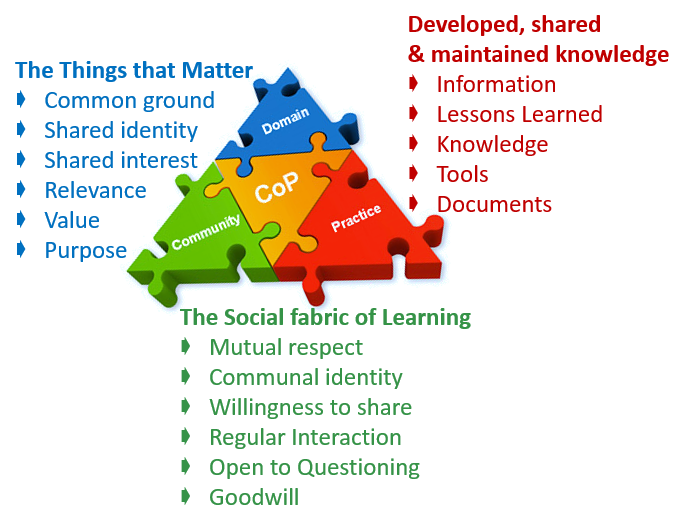 We sometimes use the term 'learning networks' and although they can be CoP's, sometimes they are a less intensive form of social learning where the main objective is sharing experiences and learn from each other, without necessarily taking ownership for the strategic development of the practice in the organization. Learning Networks : Why would you use it ? 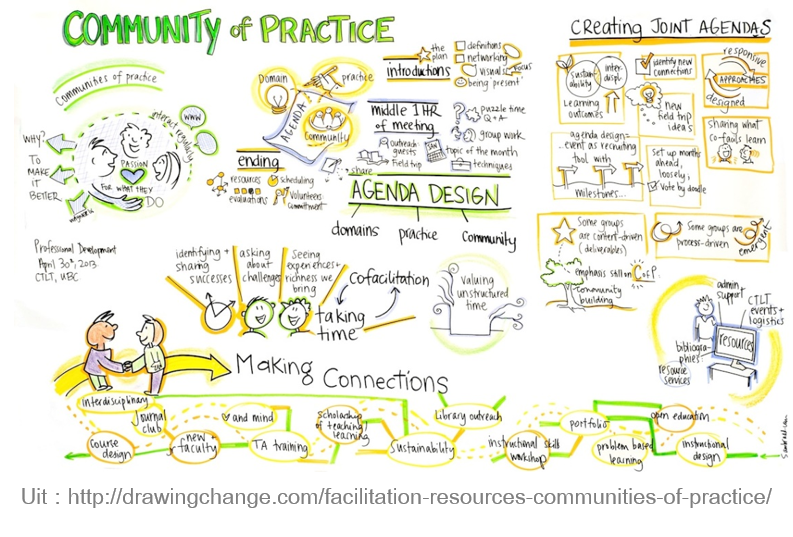 Communities of Practice are powerful instruments for 'sustainable performance' and 'sustainable development'. They have the potential to vitalize the key practices in your organization and bring about a dynamic among the professionals of such a key practice allowing to share issues, learn from each other, challenge themselves into new and creative ideas and build shared ownership for developing the practice further. Distributed Leadership : it's an emerging practice among professionals with no specific formal 'objective or expectation' and where they take shared ownership for the process and the innovations or learning that comes out of it. Through CoP's the iniative and leadership for learning and innovation is litterally distributed and dispersed throughout the organization and ownership is in the hands of those who have the experience and the expertise to deal with it. 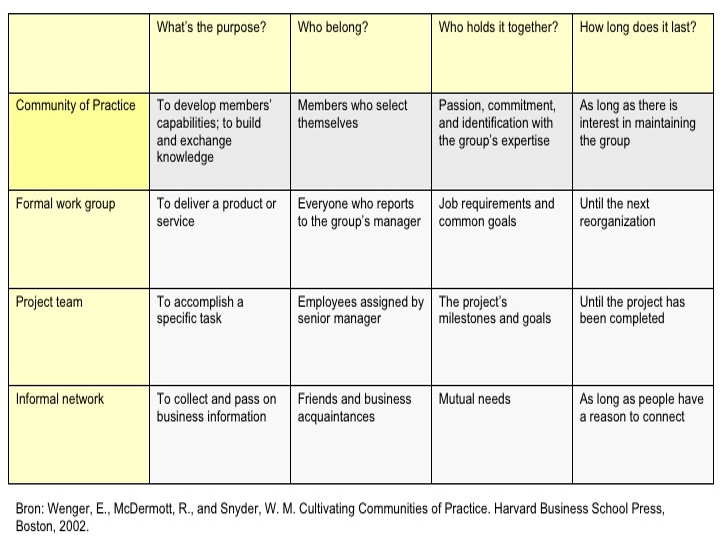 This article examines the impact of Communities of Practice and Organizational Performance. Learning Networks : When to use it ? 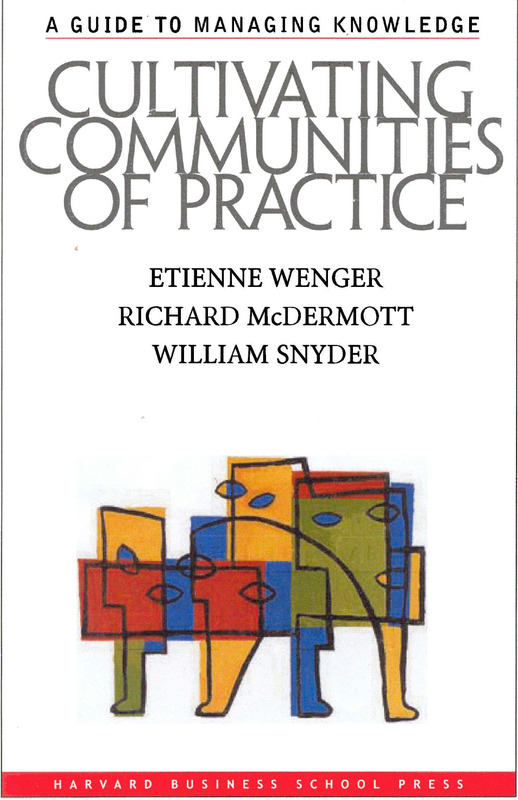 Communities of Practice constitute a place where professionals meet around a professional practice to share knowledge and experience, develop new practices, methodologies, processes, techniques etc... and take responsibility for implementing those in the organization. CoP formats can be used in organizations and businesses but also for local communities as a way to involve citizens and employees in 'shaping' their future. In times of extreme turnover a CoP is a way to capture and share expertise and a place to easily access that knowledge for new employees by joining an exisiting professional community. It's a format for the co-creative development of organizational strategy and it is a lever to implement that strategy throughout that organization. We are very happy to share with you our experiences with Communities of Practice in several organizations. Currently we are supporting the University Colleges Leuven-Limburg with launching a CoP around the Coaching & Mentoring practice in the organization. Move! is also engaged, with the University of Salzburg in a platform on intergenerational professional mentoring &coaching called ProMe. The idea here is to help bring together on an online platform experienced and possibly retired professionals with more junior colleagues who support in developing their expertise and experience. Move! was as process facilitator involved in a CoP on Learning & Development at Lafarge and one on HSEQ at Cristal Union (food processing industry in France). Click here to find out more about the L&D network at Lafarge. We share experience and advice with organizations on how to use learning networks, communities of practice, large group activities and knowledge management. We offer process design to CoP's in order to help them build their own learning process and grow towards shared ownership, rich sharing and collaboration, and an effective contribution to the organization. Is it a phased process, starting with the commitment of a few champions in the organization towards full blown activity of all involved in a particular practice. 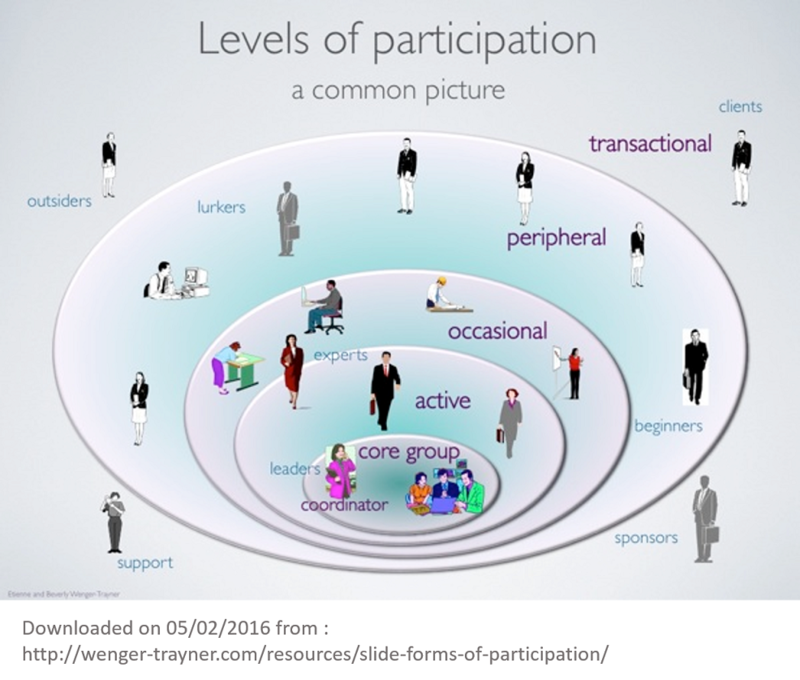 The different phases will typically need different activities to underpin the relation practice at a certain stage. We offer process facilitation in setting up a CoP, co-design and develop the network activities and co-facilitate some of the network activities and large group interventions. We share with you a few interesting books that might help you reflect on the possibilities of Social Learning and Communities of Practice in your organization. Click on the covers to download book excerpts or related articles. 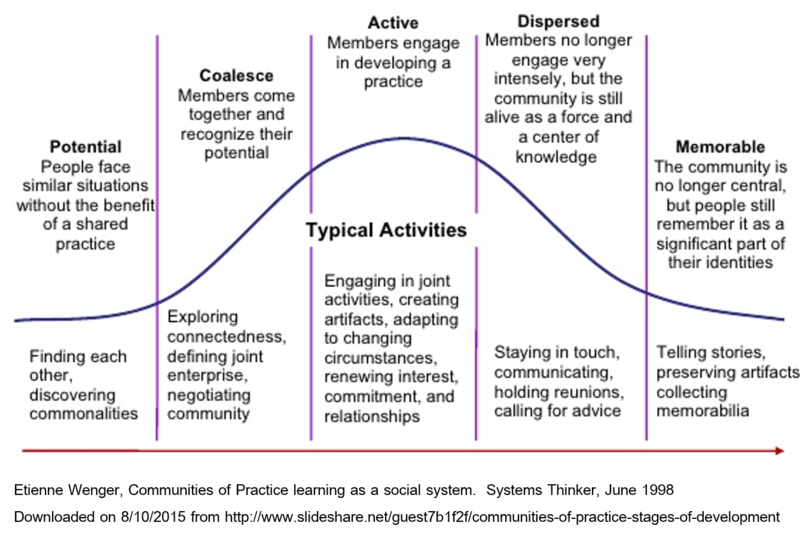 CoP's can not be 'put in place', they ARE not, but they BECOME, groups of people will gradually start feeling and behaving as communities and will have to learn to share knowledge and experience, develop new and innovative approaches and feel co-ownership over their practice area. 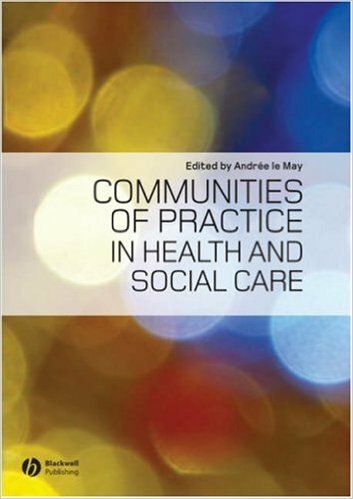 It is an 'emerging practice' with at the end 'shared ownership' and the ability to function as a 'selfmanaging' community. It is crucial that top management recognizes CoP as a viable way to manage and innovate the strategy, processes and practices within a certain key area and sees it as a form of distributed leadership. Although support is essential, top management should create the space and autonomy necessary for the professionals to develop ownership for the CoP and let the participants invent and shape the way they work. If top management will set specific outcomes and objectives, it becomes a project and loses the innovative force of a relational practice. You do need people to take the initiative in your organization, who see the need and want to invest in their practice. You also need 'process facilitators' to set up a viable process, start working on company support, design, develop and facilitate the first collaborative activities of the network, etc...They create a kind of structure allowing all the professionals within the practice to start working. They focus on the process and stay far from content issues (or objectives). Interested in Learning Networks ?